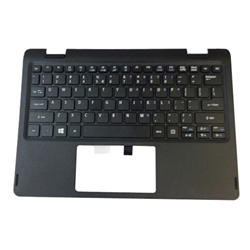 Description: New genuine Acer laptop upper case palmrest. This upper case includes the keyboard (non-backlit). This original part is black in color.